The thing is, travel doesn’t spontaneously happen. You have to plan it. And it’s well worth the effort too. Studies have shown that taking a vacation helps improve your relationships, your motivation and productivity at work, even your physical health. Yet despite all of these benefits, Americans collectively left 705 million unused vacation days on the table at the end of the year. Cue National Plan for Vacation Day on January 29. This year, let’s resolve to use all of our vacation days. Let’s make a plan now and stick to it. Are you in? Of course, I’m an advocate of my own backyard as the ideal place to allocate those vacation days. The Pacific Northwest has adventures for every traveler and there is no better gateway than Seattle. No matter what time of year or what kind of adventure you’re planning for, read on for some Seattle-centric ideas to get you started. Let’s not leave our vacation days up to chance. Let’s #planforvacation. With over 940 wineries and nearly 70 varieties, Washington State is the second largest producer of premium wine in the country. 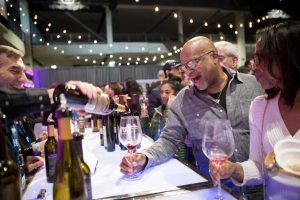 And if you’re coming to taste Washington wine, come during Taste Washington: a four-day festival celebrating the state’s wine and food scene, culminating in a Grand Tasting with over 235 wineries and over 65 local restaurants featured under one roof. With a variety of events to choose from, it’s easy to tailor your experience. Planning a romantic getaway or a fun girls’ weekend? This is it. 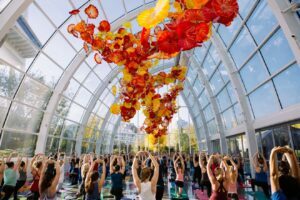 In 2018, Seattle’s most iconic landmark underwent a $100 million renovation, encasing it in 20,000 sq ft of glass. From the outside, it looks the same. But from the inside, the outside couldn’t look more spectacular. Carve out some time this year to experience the new Space Needle, complete with 360° uninterrupted views and the world’s first and only revolving glass floor. While you’re at it, grab a Seattle CityPASS and make the most of your trip with bundled discounts to the city’s top attractions. 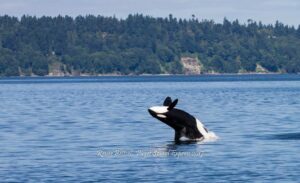 While grey and humpback whales pass through the Pacific Northwest year-round, May usually marks the return of the southern resident Orcas, who make their home in the Salish Sea through October. 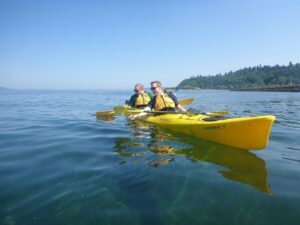 A daytrip to the San Juan Islands just north of Seattle (or any of our surrounding islands, for that matter) is a magical excursion any time of the year, but the added prospect of whale watching can add that extra sparkle to the itinerary. You don’t have to be in Seattle too long before you pick up on the city’s deep appreciation of hopped beverages. 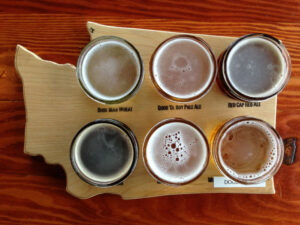 With 11 breweries in just 5 square miles, the Ballard neighborhood in particular has become a beer-lover’s destination. And if you’re planning for June anyway, consider visiting during the Washington Brewers Festival, June 14-16 for a wide sampling of Washington brews in one place. Have little ones in tow? No worries. Many local taprooms are family-friendly. Seattle is a city surrounded by water – and from kayaks and paddle boards to seaplanes, ferries, and even cruise ships, this city is not lacking in ways to get out and experience it. Learn how to sail or enjoy a bonfire on the beach. Chase a waterfall or while away the hours at a waterside bar or restaurant. Just be sure you get out on the water. 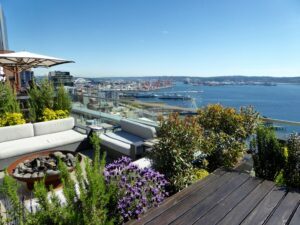 There’s not much better than a sunny day in Seattle – with a cold drink in hand – on a rooftop with sweeping views of the city and surrounding landscape. Throughout the summer months, it’s no wonder that Seattlites flock to the growing number of rooftop bars. 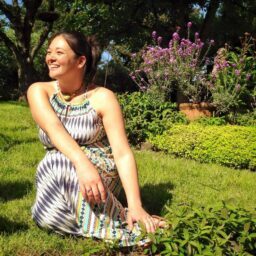 (The Nest and Terra Plata are two of my personal favorites.) Height’s not your thing? There are plenty of waterside watering holes to choose from as well. With so much water surrounding the city, it’s easy to assume that Seattle is a coastal city – but it’s not. While the city still enjoys that familiar salty air, it is separated from the ocean by the Olympic Peninsula: 3,600 square miles of temperate rainforest, towering peaks, and dramatic coastlines – in short, an adventurer’s paradise. A trip to the Olympic National Park is a good place to start. Planning a shorter trip but still want to cash in on the majesty of a PNW National Park? August is the peak bloom season for wildflowers at Mount Rainier National Park. Seattle has a long, rich music history. Known worldwide as the birthplace of grunge, our city celebrates all genres of music. Every music venue carries its own sound and it is worth setting aside several nights to experience a variety of them. 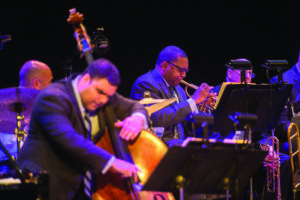 In October specifically, be sure you check out Earshot Jazz Festival, a month-long event that brings local and global musicians together to play in over 60 concerts and events in venues large and small throughout the city. Seattle is an incredible foodie city, and there’s no shame in planning a vacation simply to eat your way through it. And when the days get a little shorter and the weather gets a little crisper, sometimes that’s all the motivation we need to gather around a good meal. Try the ultimate comfort food from James Beard award winner Edouardo Jordan’s Junebaby or something more precise like the sashimi at Shiro’s. 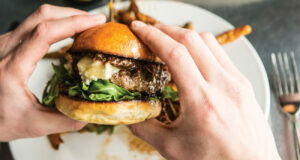 Go casual at Serious Pie & Biscuit or get gussied up at AQUA by El Gaucho. There are too many mouthwatering places to call out in one post, but don’t worry, we’ve got your back with more tasty ideas for you. They say it’s the most wonderful time of the year – and I’m not one to argue. The holidays in Seattle really are magical. I never miss the Macy’s Holiday Parade to kick off the season and I can’t resist the festive atmosphere when they close off the streets for the Figgy Pudding Caroling Competition. 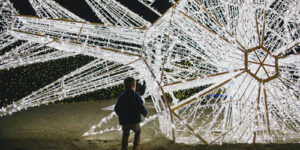 The time-honored tradition of the Argosy Christmas Ship Festival is a distinctly Seattle. Nothing like leaving your resolution for the last-minute, huh? Whether you’re already planning for your procrastinating tendencies on this year’s resolution or already looking ahead to next year’s resolution, Seattle has the expertise and opportunities for you to eat better, pamper yourself, or start a new hobby. New year, new you, right?